When a person is arrested, he or she is entitled to be treated with the minimal amount of force that is necessary during the arrest. Whether the arrest is legal or not legal, law enforcement can only use the amount of force necessary to effectuate the arrest. The guidelines are clear, yet people are still severely injured and sometimes killed due to excessive use of force by law enforcement. 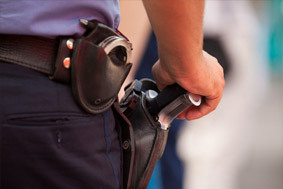 At Goldberg & Allen, LLP, we have full understanding of police guidelines and legal standards. Using our knowledge of both, we bring forward strong claims on behalf of our clients and their family members who were seriously harmed or killed due to excessive use of force. We are knowledgeable police violence lawyers in NYC who have recovered millions of dollars for our clients. Please contact us at 212-766-3366 to arrange your free case review. Injured By Excessive Force? Loved One Killed By Excessive Force? Being put in handcuffs and beaten up is not justifiable. Whether this is exceeded as “payback” or another reason, it is not justifiable and becomes excessive. Whether you sustained serious injury — such as nerve damage or a head injury — or your loved one was killed by deadly and excessive force, please talk to us. We can listen to your side of the occurrence and inform you of your rights and options in a lawsuit. If you or a loved one has suffered permanent nerve damage or broken wrists as a result of the improper use of handcuffs, we will consult with expert neurologists, orthopedists and other medical professionals to build an assertive claim for damages. We also work with police experts to determine whether the procedures were appropriate under current police guidelines. As veteran attorneys, we know the legal and procedural limits police can use, and we can gauge whether an improper or excessive use of force has been a factor in your case. 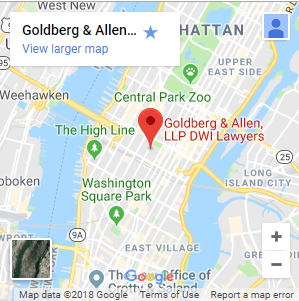 At Goldberg & Allen, LLP, our police brutality attorneys take a special, determined interest in civil actions that promote fairness and quality law enforcement in our city. If you have been seriously injured by excessive use of force, please call us at 212-766-3366. You can also contact us online to schedule your free case review.